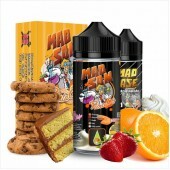 The 120ml Mad Shake Bottle contains 20ml of concentrated perfume, which is enough to produce 100ml e-liquid. 2.Do not fill the bottle up to the top. Suggested steeping period 5 to 15 days. 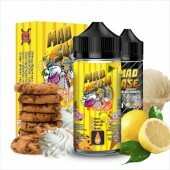 **** This bottle is Chubby Gorilla 120ml and contains enough perfume (20ml) to make 100ml of e-liquid. 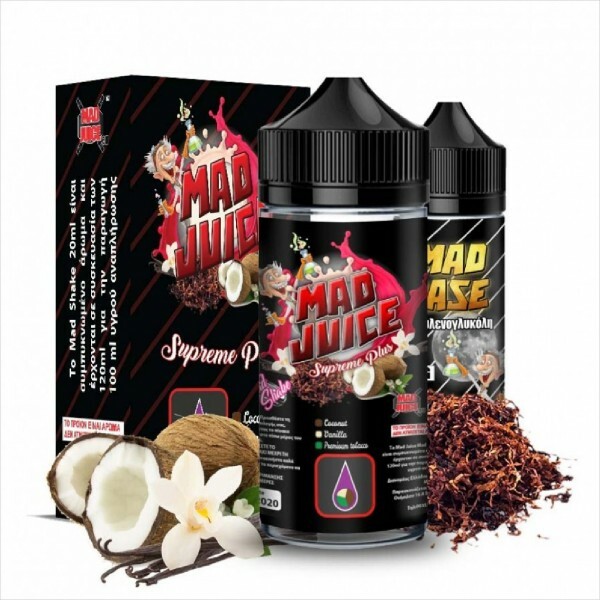 ***** The box contains 1 Chubby Gorilla 120ml bottle with 20ml concentrated aroma and a second bottle with 65ml vegatable glycerine Mad Juice. CAUTION: This product is not intended for immediate use. It is a concentrated fragrance and needs further treatment and dissolution.